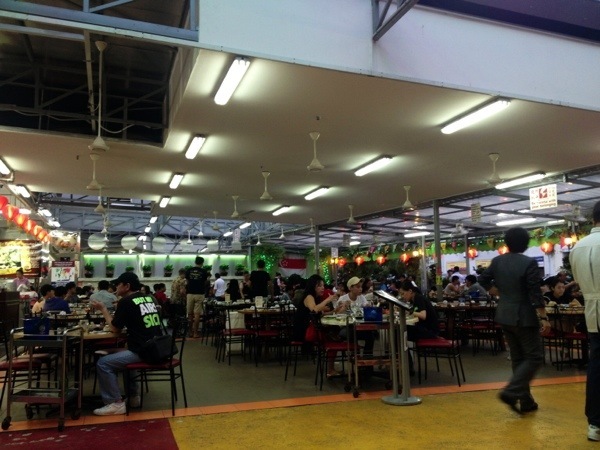 When in Singapore, do what the locals do – Eat, Eat and Eat. Where did my diet go? It went out the door the moment we stepped into the island of Singapore. 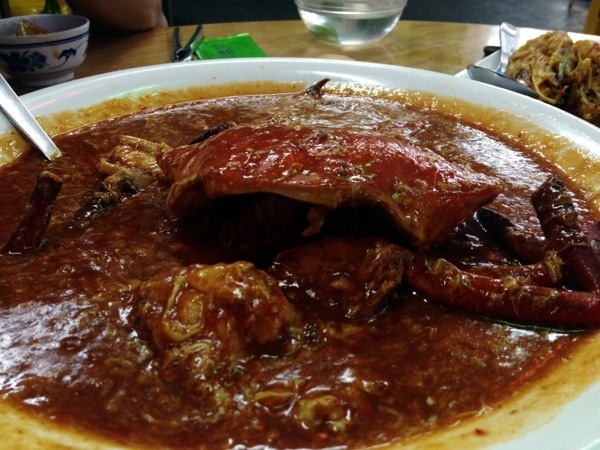 One of Singapore’s well-known dishes is its Chili Crab. 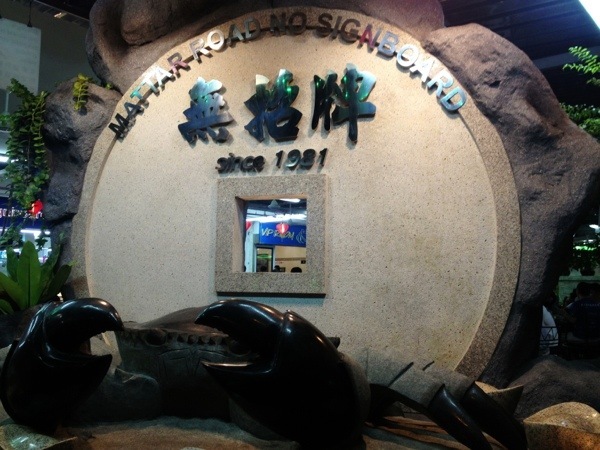 And of course, we had to try what people have been considering to be the best Chili Crab in the island – No Signboard Seafood Restaurant. We took the MRT going to their main branch located in Geylang road. The ride cost is SGD1.80 each. Was a bit surprised to find an outdoor setup. Since we didn’t have reservations, we were escorted to another side of the restaurant. We were served a pretty big crab with lots of meat in it. The sauce was on the spicy and salty side. It was so-so for me. Actually, I preferred the one in Thailand, Somboon. 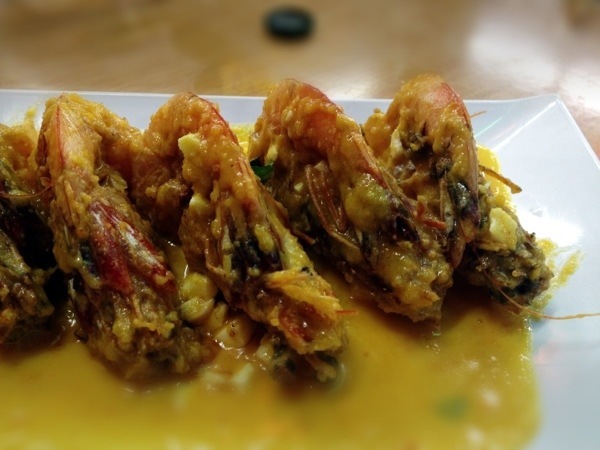 Will try another restaurant known for their chili crab tomorrow. Reminded me of the lomi sauce. 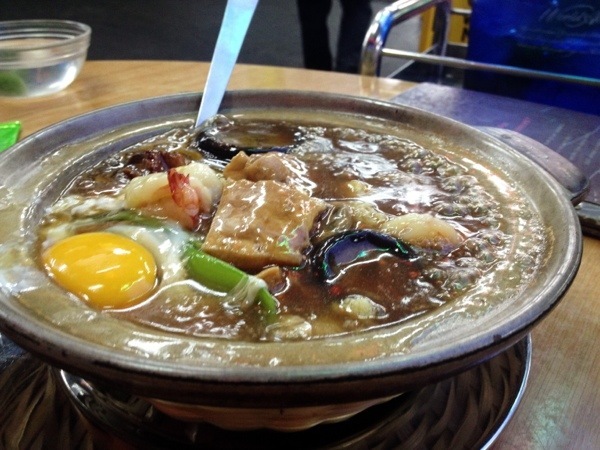 Good combination of beancurd, mushrooms and vegetables. This was a nice dish. Loved the salted egg sauce. All in all, the food we ordered was so-so. Hoping to try a better chili crab tomorrow. I personally prefer one that’s a bit on the sweet and spicy side. We took a taxi going back to Orchard. The ride costed us SGD10. That’s Long Beach Seafood. Sayang! We didn’t get to try that.